Intervertebral disc herniations are a common cause of neck and back pain in athletes. It is thought to be more prevalent in athletes than in the general population due to the consistent pressure placed on the spine and concurrent microtraumas that are unable to heal. Prevention focuses on neck and trunk stability and flexibility, training on proper technique, and rule changes to minimize catastrophic injuries. The evaluation for athletes includes a full neurologic exam and imaging. The imaging modality of choice is MRI, but CT myelography can be a useful alternative. Standard management includes a six week trial of conservative treatment with hiatus from injurious activity and anti-inflammatory medication. If nonoperative management fails, operative treatment has been shown to lead to excellent clinical outcomes in this patient population. Special consideration to prevention needs to be further analyzed. Furthermore, more robust studies on alternative non-operative and operative treatment modalities for this patient population are also needed. Jonathan T. Yamaguchi and Wellington K. Hsu have contributed in the manuscript preparation and literature review. All of the following authors contributed significantly to the development of this manuscript through data analysis, manuscript preparation, or analysis and editing of the final manuscript. Author JTY has no conflicts of interest. 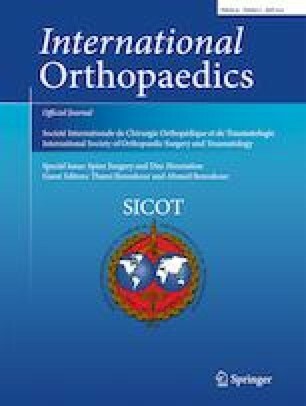 Author WKH has received research grant from Wright Medical and IP royalties from Stryker; advisory board for the Journal of Bone and Joint Surgery; consulted for Stryker, Medtronic, Mirus, Allosource, Biovenus, Micromedicine, and Agnovos.